The simulations can be run on the site or downloaded. The simulations are accurate and real and can help students learn concepts in more depth. They are easy and fun to use, and really do demonstrate the concepts well. In the physics ones I use, a big benefit is that students can quickly and easily change variables and conditions and then see what happens. This is very hard and time consuming in many hands on labs. Students can also visualize things that are hard to see in a hands-on lab, such as magnetic field lines, and electron flow. You can search by topic, grade level, or just see the newest ones added. 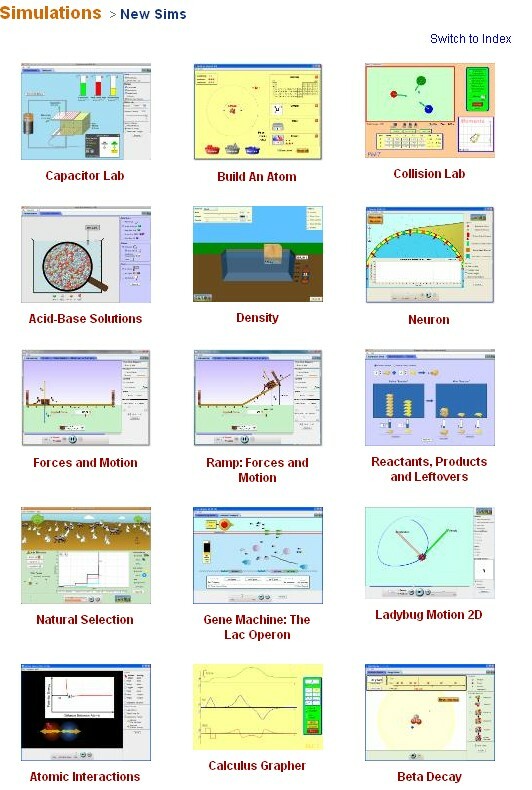 There are teacher resources for many of the simulations. Teachers who use the simulations post lesson plans and resources to the site for others to use also. 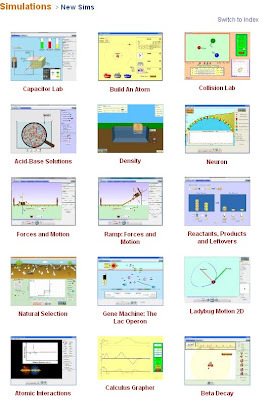 These teacher created lesson plans and lab sheets are excellent and free for all to use. Here's a list of some of the new simulations they have and there are more simulations, and resources, being added all the time.